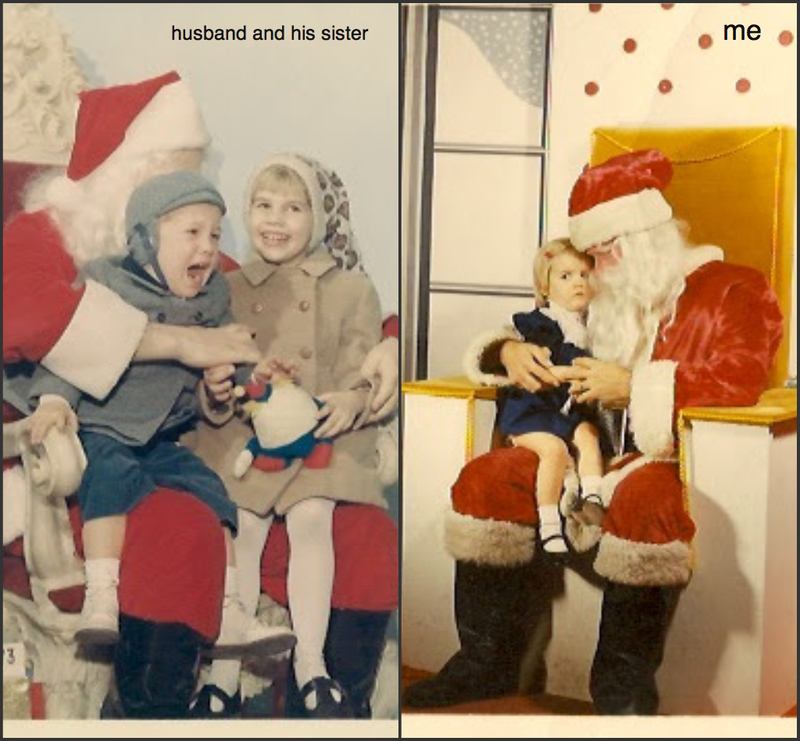 This photo fits in nicely with a post I did on family Santa Smiles from a couple years ago.. Here are photos of my husband and I with Santa, both at age 2.... I appear to be dealing with the horror better than he is, although I don't seem particularly thrilled about the situation... It seems that my husband may have been coaxed with some sort of stuffed animal... to no avail. 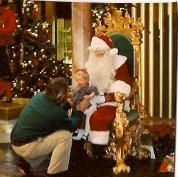 Santa looks to be using a significant amount of force in keeping him seated. At least my Santa looks gentle. I'm too nice photos that you showed us. I'm sorry to laugh in front of the fear of the children, but I can not help it. Poor Santa Claus! That his hard work! I love these. Can you imagine Santa coming home each night and telling you about the day of children perched on his knee... some wailing away and some so giddy with happiness. 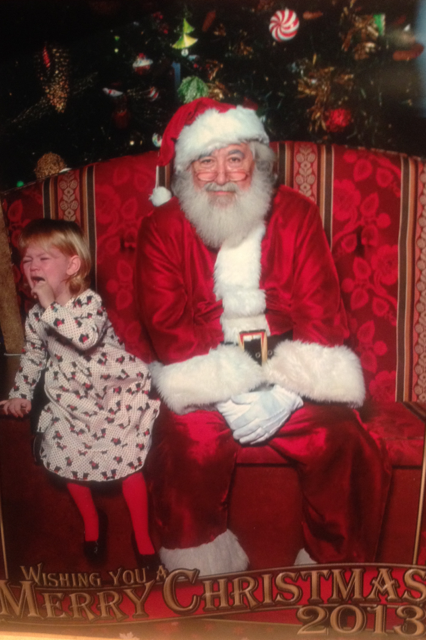 No way on earth we would EVER have gotten my daughter to sit on Santa's lap! She wouldn't even let the guy in the shoe store measure her foot (I had to!). No, no vintage pictures for us, unfortunately! SO funny, I could never get my girls to pose with Mr Kirngle when they were young, they all seemed terrified! Oh goodness, those are soooo cute!! 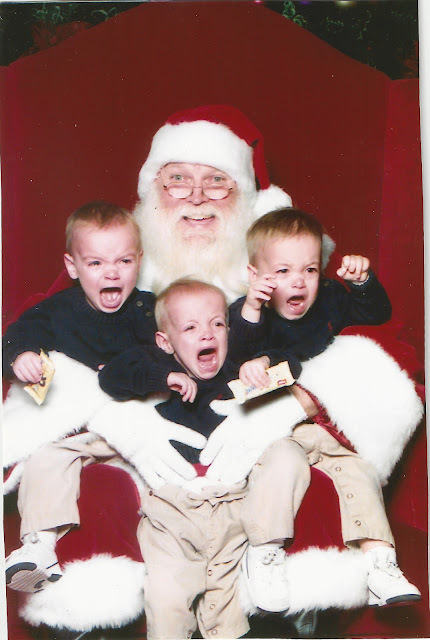 We want the "happy" faces with Santa, but really the ones crying are so good!